Working across Thame and surrounding areas, our team of electricians specialise in the installation and repairs of electric showers. Within a busy home, an electric shower is the perfect solution as they ensure hot water is instant as well as being energy efficient, This is because the water is being heated only when it needs to be not all the time like some other showers. 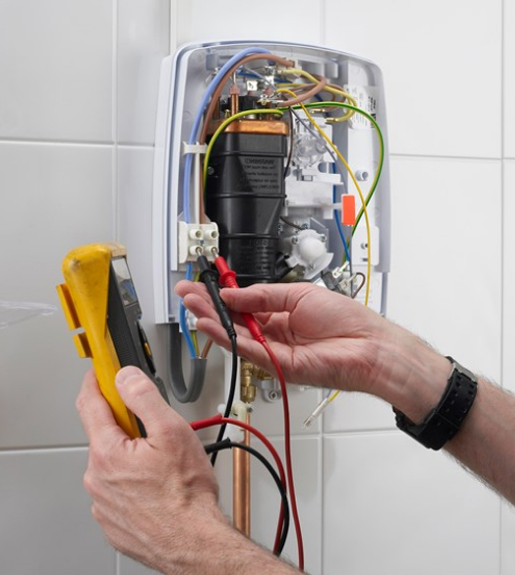 Operating in Thame and the surrounding areas, our team of electricians here at Justin Bucknell Electrical specialise in the installation and repairs of electric showers. Working in the industry for as long as we have has allowed us to build up the knowledge and reputation as being one of the areas most trusted and reliable electricians. If you would like to know more information about our services across Thame and the surrounding areas, please get in touch with our electricians today. For a professional electrical service across the Thame area, please get in touch with our electricians today.